Head coach Graeme McGravie used the word “shocked” when asked to describe his team’s morale at half-time in their first regular season game on Labour Day. The Stingers were down 19-7 against the Rouge et Or after 40 minutes of play at the Stinger Stadium. They could have closed the gap with a last minute play but were unable to capitalize on their chance. Concordia went on to lose the game 45-26 against the very same Laval team they defeated twice last year—once in the regular season by a close score of 22-21 and the other win coming in a strong victory the semi-finals of the Réseau de Sport Étudiant du Québec playoffs, defeating them 46-20. Going into this game, the Stingers felt confident in their chances of winning. The first half of the game was one to forget for the Stingers. The Rouge et Or took an early lead at the 13th minute as Fabiola Forteza scored the first try of the game and added a second one four minutes later. The Maroon and Gold were unable to match Laval’s speed and were dominated by them in scrums. If the game had started an hour later, Concordia would have dominated their rivals. 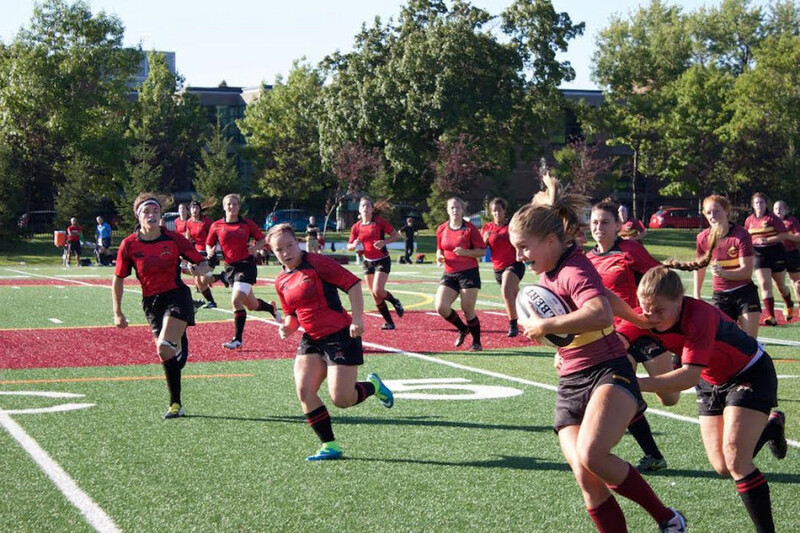 The Stingers scored three tries in a row with the help of Emilie Belanger—who had scored their only try in the first half—Frederique Rajotte and Jenna Thompson. Laval was fighting to maintain their lead as the gap shrank from 26-7 at halftime to 38-26 at the 75th minute of play. Despite the Stingers late game momentum gain, the clock ran out of time and it was over. While it was a difficult game, there are positives that can be taken out. McGravie believes that his team play some good rugby and praised Rajotte and Alexandra Tessier for their efforts. The Stingers will have a second chance to win on home-turf when they face-off against Sherbrooke on Sept. 8 at 7 p.m.